There is a common misconception today that if something is a cartoon, it must be for kids. The Simpsons sit on the cusp of being adult humor that kids can enjoy. Family Guy clearly pushes the boundary. Even recent cartoons like Rick and Morty are somehow confused as child-friendly simply because it’s a cartoon. Much like these comedy filled cartoons, Cuphead seems innocent on the surface but will quickly show you its true colors. Perfectly blending the 1930’s aesthetics – both visually and audibly – with the “figure it out yourself” platforming style of the 80’s and 90’s, Cuphead is a challenging adventure that wants you to succeed. It wants you to win, but only if you really try. It’s like the coach that pushes his team beyond their limits to improve, so too does this cutesy little Indie title push you to improve your skills. 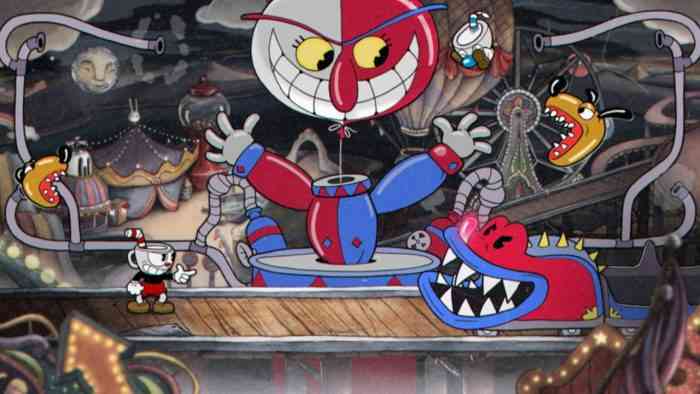 If you’ve got the fortitude – and a little Dark Souls experience under your belt – Cuphead might be just the thing for you. Check out our video review below and see what you think. Cuphead is an independently developed game focused on providing hands down one of the most unique experiences in gaming history. With all of the visuals being hand-drawn in the 1930’s aesthetic, Cuphead follows the story of the titular character after making a deal with the devil. To escape a lifetime of servitude, Cuphead must collect on the debts of others who have made a deal with the devil in exchange for his freedom. The game has built itself a monumental following for its visual style and increased yet not insurmountable difficulty. The game is designed to encourage your skills with platforming and timing, but you will die and you will die often while honing these skills. Those who have played the game have already stated you don’t feel discouraged, but rather motivated to keep going. Cuphead is available now on PC and Xbox One. For more information, check out the official website. What do you think about Cuphead? Have you already played or are you itching to get in on the action? Let us know on Facebook, Twitter, or the Comments section below.